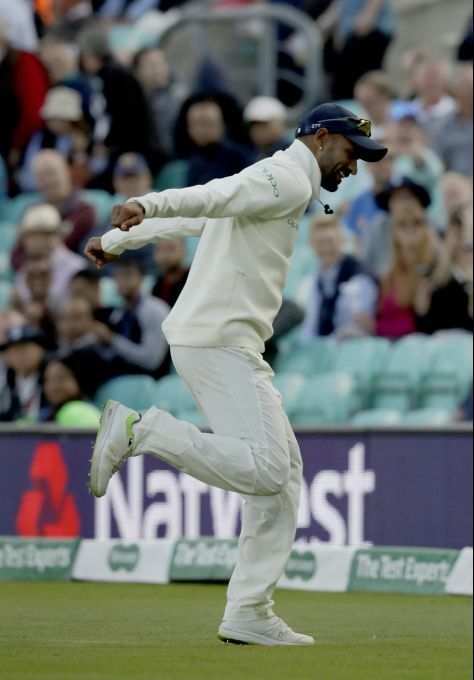 London : India's Shikhar Dhawan dances in front of India fans during the fifth cricket test match of a five match series between England and India at the Oval cricket ground in London, Friday, Sept. 7, 2018. 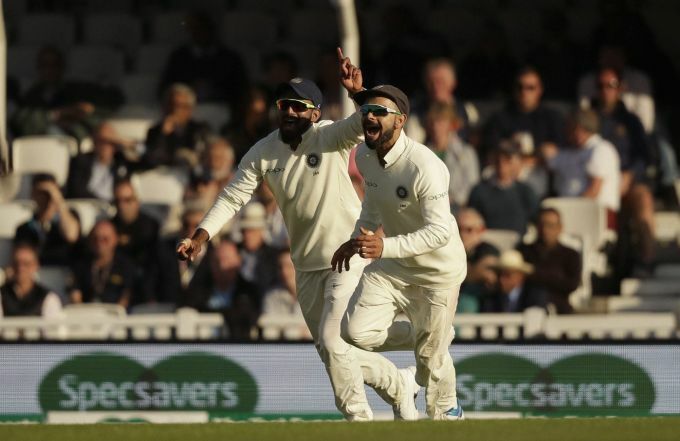 London : India captain Virat Kohli, right, celebrates India's Ishant Sharma, not pictured, taking the wicket of England's Sam Curran during the fifth cricket test match of a five match series between England and India at the Oval cricket ground in London, Friday, Sept. 7, 2018. Mumbai: Bollywood actors Akshay Kumar and Ranveer Singh during Twinkle Khanna's book 'Pyjamas are Forgiving' launch, in Mumbai, Friday, Sept 7, 2018. 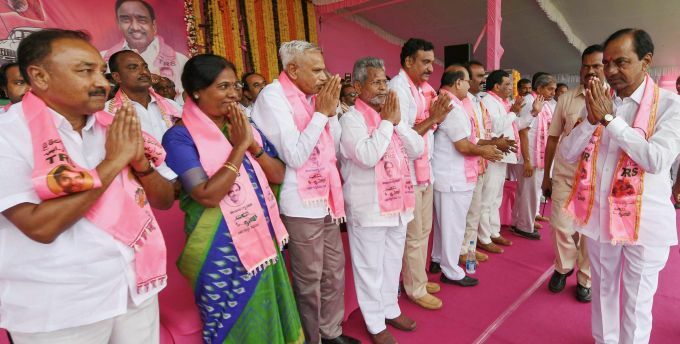 Husnabad: TRS Chief K Chandrasekhar Rao during party's first public meeting since the Assembly was dissolved, in Husnabad, Friday, Sept 7, 2018. 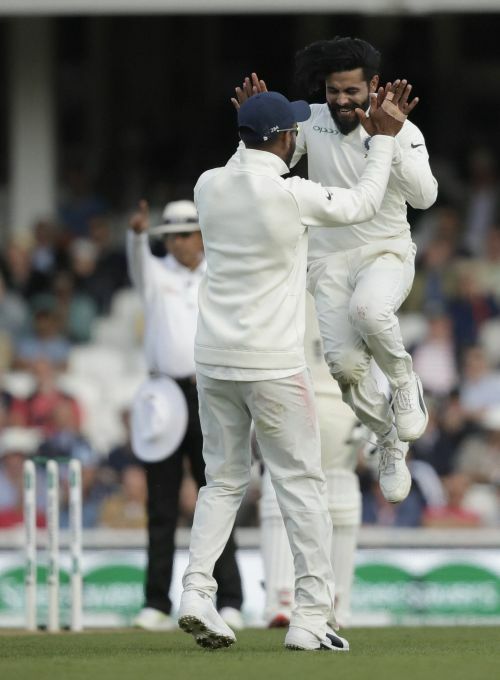 London : India's Ravindra Jadeja, right, celebrates taking the wicket of England's Ben Stokes during the fifth cricket test match of a five match series between England and India at the Oval cricket ground in London, Friday, Sept. 7, 2018. 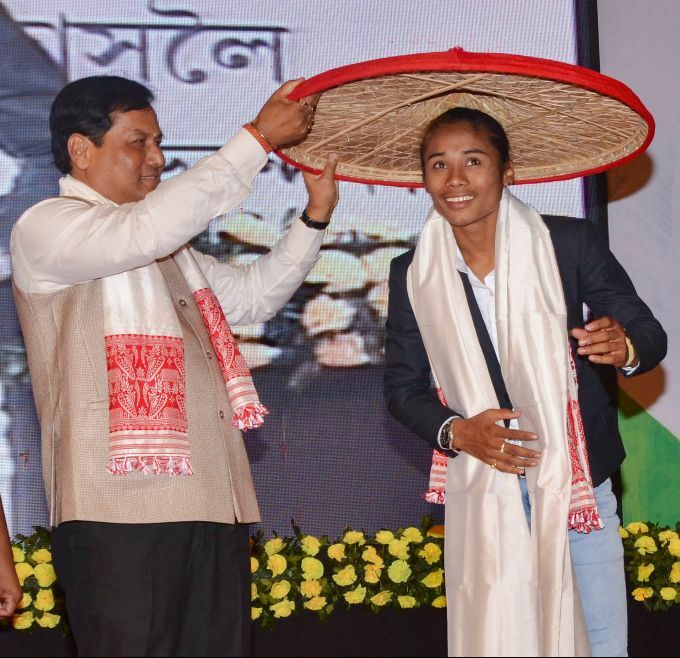 Guwahati: Assam Chief Minister Sarbananda Sonowal felicitates Asian Games Gold-medallist Hima Das with a traditional hat ‘Japi’, in Guwahati, Friday, Sept 7, 2018.